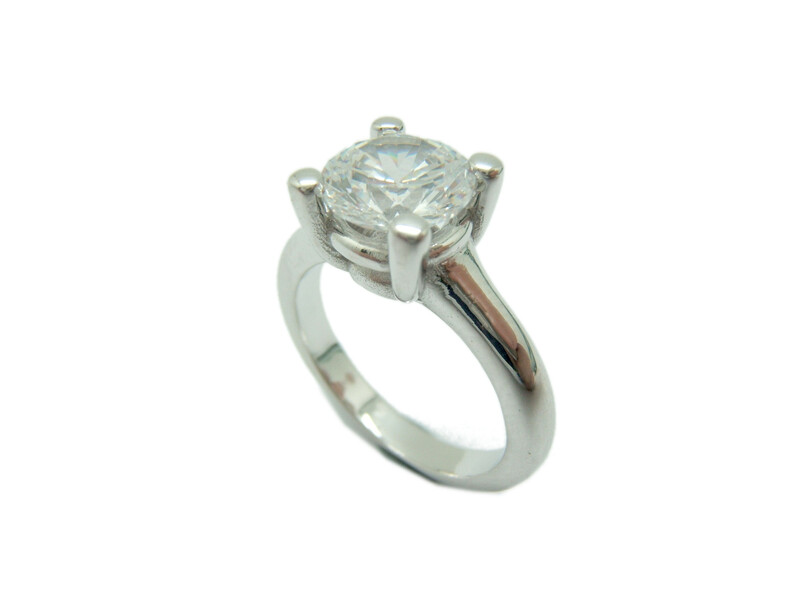 Ring Silver 925/000 mil with SWAROVSKI cubic zirconia of 8 mm, brilliant-cut. In the central facet of the stone bears engraved the inscription SWAROVSKI ZIRCONIA. This inscription is difficult to see with a 10 x Loupe.